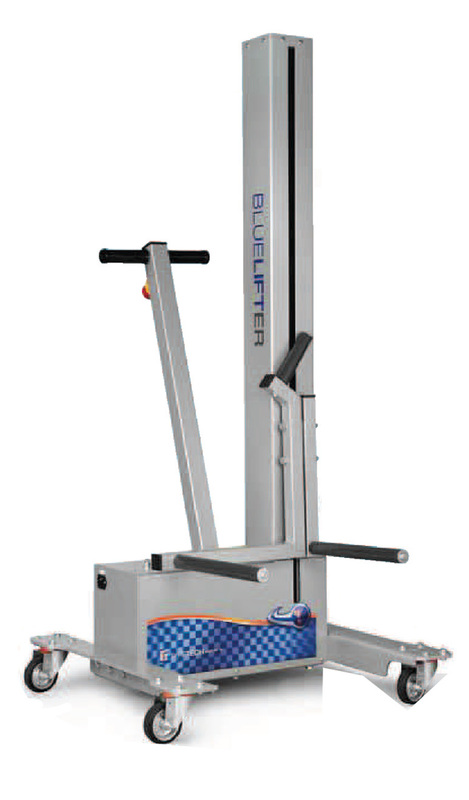 The Blue lifter can lift wheels of a weight of max 70 kg at a max height of 1540 mm. 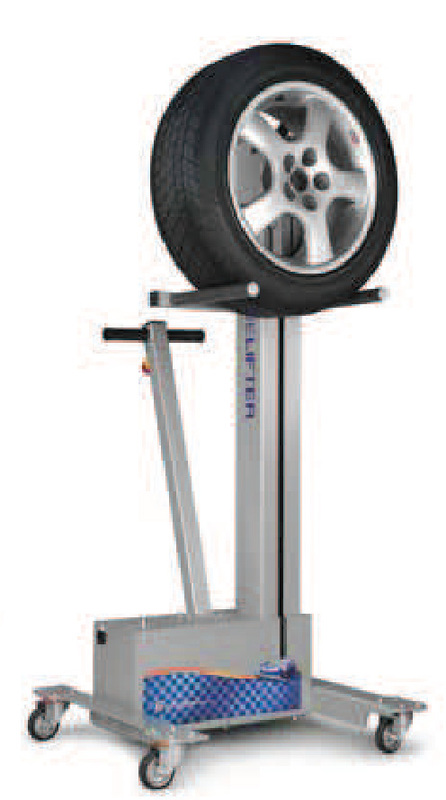 It is supplied by a rechargeable 24 V cc battery pack, complete with a up/down fork selctor and a red emergency stop button. 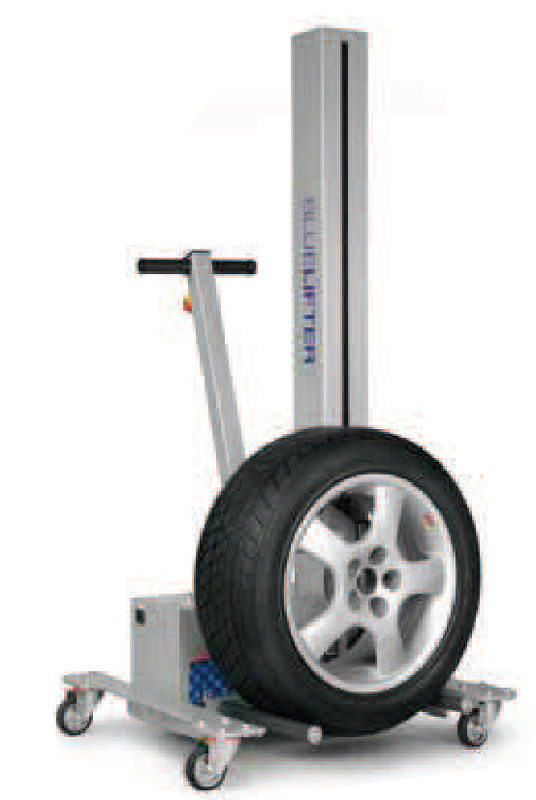 Equipped with 4 pivoting wheels (two of them with brakes).